Watch me make these Easy Baked Turkey Meatballs from start to finish! 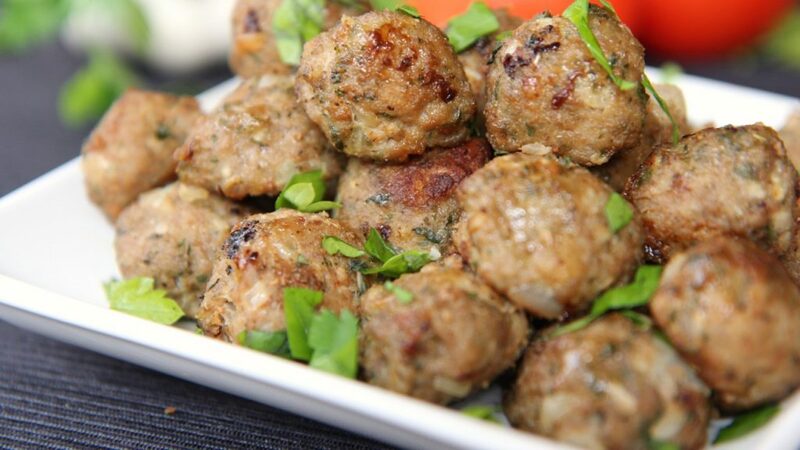 Everybody needs a basic, tried and true, freezer-friendly, go-to turkey meatball recipe. Yep, even you! Do you have one? No? Well today is your lucky day my friend! For the low low price of $19.95… Ok don’t log off, I’ll get serious. Actually I am serious. Like you should totally have a go-to meatball recipe. Why? Well because it is pure heaven to pull out a bag of homemade meatballs when you are utterly EXHAUSTED and create a delicious hot, toasty and cheesy meatball sub for dinner. Catch my drift? Or whip up a pan of Salisbury meatballs and gravy in flash. Oh and let’s not forget about spaghetti and meatballs! Just endless possibilities people! Having delicious, homemade meatballs always in your freezer is a game changer, a life saver, a saving grace, your super mom move! You on board yet? Ok so here is where you get said recipe. 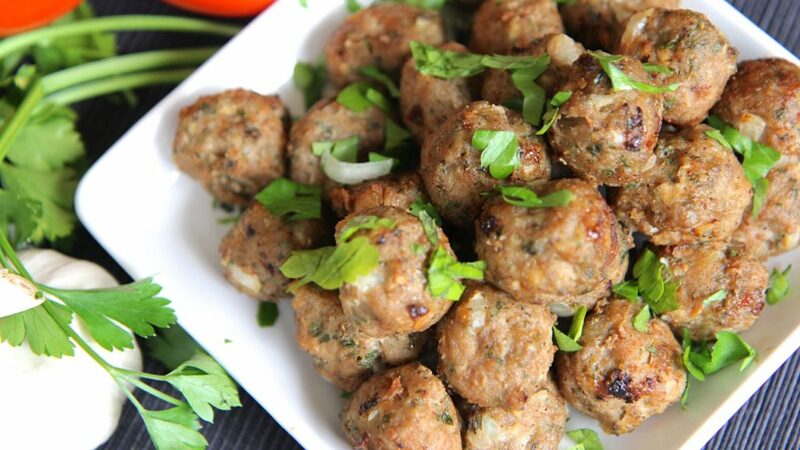 These baked turkey meatballs are BOMBNESS. They make me look like I’m one of those “got it together moms” when we spend all evening at back to back swim lessons yet we come home to the crock pot simmering away with sweet and sour meatballs ready to go on a bed of steaming rice. 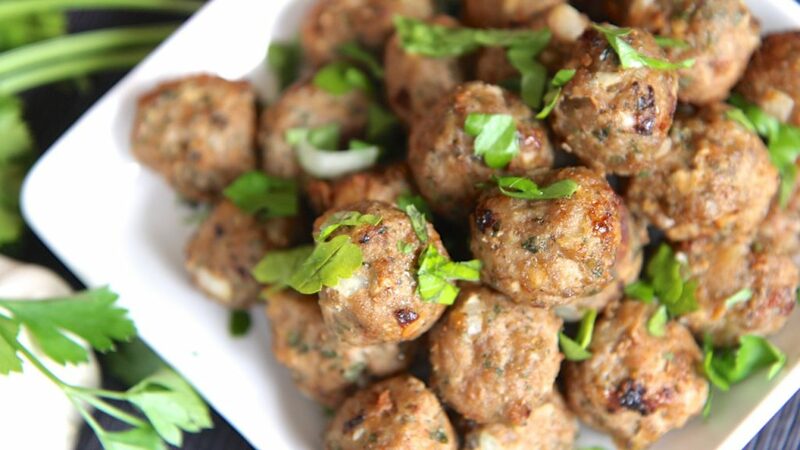 If you haven’t figured it out yet: THESE MEATBALLS GO WITH ANYTHING!! The flavor is so perfectly balanced that I have yet to find a dish that it didn’t compliment. They’re not to garlicky, not to smokey, not to sweet, not to savory. It’s just a really, really good, basic turkey meatball. Nothing overly fancy, nothing underwhelming. Just perfect! They freeze and reheat beautifully and taste GREAT even when you cook and eat them right on the spot. My little Ethan can down an entire plate of these babies plain (which is how he prefers them) in one sitting. I prefer to make them on the small side using my mini ice cream scoop. This way they are more versatile and easier for my kids to handle but if you want you can certainly increase the size. Just remember that you will also want to increase the baking time a bit if you do. Now as you may know, turkey meatballs can tend to be a bit…uh…how do we say….. DRY!! 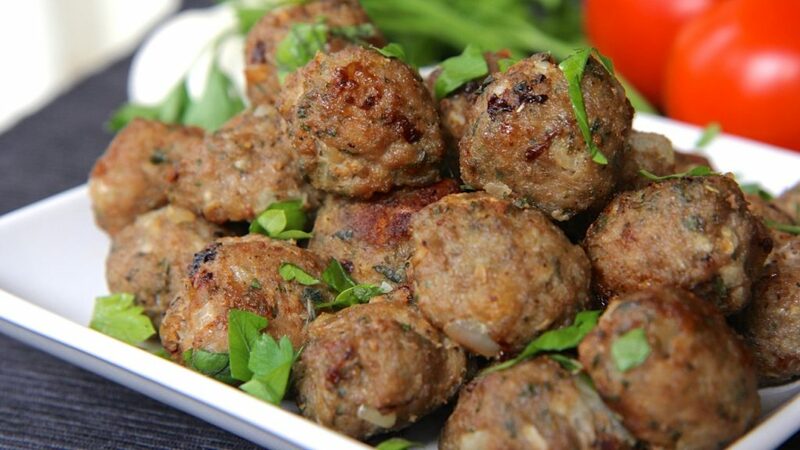 Here are a few tips to ensure your meatballs bake up nice and juicy! Don’t over-mix the meat too much. Dump all the ingredients in the bowl and use your hands to mix them all up gently with yout hands. Yeah meatballs love being touched. Always make a tiny test patty. You want to make sure your meatballs taste amazing before you make up the entire batch. Fry up a small piece and adjust the seasonings if needed. Add some fat and moisture. Turkey meat is very lean and dries out easily. Adding things like an egg, milk, cream, mayo, grated veggies, olive oil etc. will help it in the juicy department. Don’t overcook it! 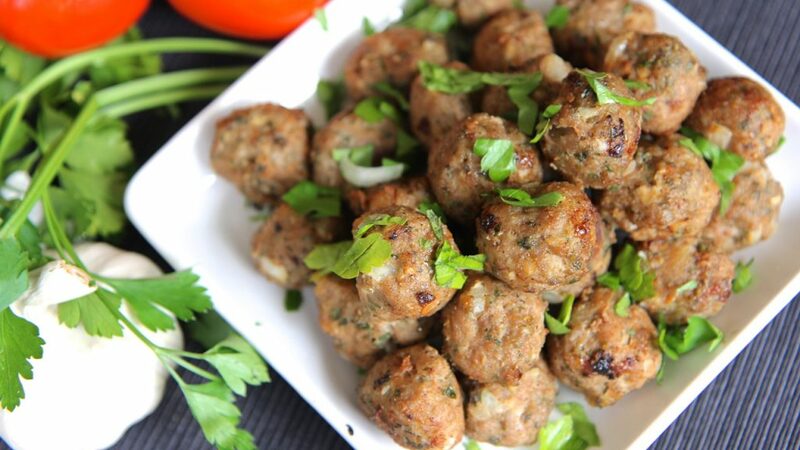 This recipe makes small meatballs which means they cook quick. If your oven tends to run a bit hotter or you use a very lean turkey then they will cook ever fast. So just keep an eye on that first batch (if you’re making several) so you’ll know how your oven behaves with this recipe. That’s it! Go make some banging balls sista! Line a baking sheet with greased foil paper. Set aside. In a large bowl add turkey meat and the next six ingredients. Gently mix everything up with your hands (preferred) or a rubber spatula. Combine the remaining six ingredients in a small bowl and sprinkle over the turkey mixture. Gently mix until the spices are worked into the meat. Do NOT over mix. Fry up a small piece of the mixture to taste and adjust the seasonings if needed. Using a mini scoop, scoop out a tablespoon of the mixture and roll into a ball. Place on prepare baking sheet. When meatballs come out of the oven, gently toss them in the juices in the pan and let them cool slightly. Serve or let cool and then flash-freeze and bag. Do not over-handle the meat mixture. Watch carefully while baking to prevent over baking/burning.